Yay! My rulers arrived today. They look fantastic, YourLogoWorks.com did a great job. They were super fast, professional, had low minimum order, and the most affordable (we searched a ton of companies to find the best price). Would not not hesitate to order from them again. After finding out that I have the opportunity to participate in the Husqvarna Viking 2008 Convention in San Antonio, I wanted an environmentally friendly item to hand out to the dealers at the meet the educator night (I am a freelance educator for Husqvarna viking). During the convention in between the classes and new product releases there is a meet the educator night. I wanted to have something small to give away so the dealers would remember me when they get home. It was hard to think of something that would be useful, appreciated, inexpensive and not time consuming to make (the convention is June 15th) without giving away something that would just add the already bulging landfills. Then I found the natural rulers. They are not fancy (like the plastic rulers) but they are an accurate 12" ruler. 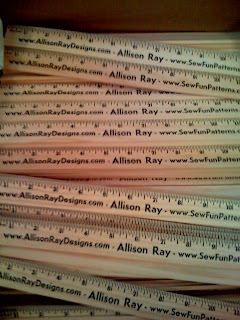 And, I have never met someone who sews that does not have a "collection" of rulers. Best of all they are MADE IN THE USA! An adorable idea! Made two today while waiting for Randy at the dentist. annual Secret Pal Tea party. Ever wonder what to do with the older towels in your bathroom. You hate to throw them away just because they are not a plush, have some worn areas and may even have a few holes or bleach stains. Here are a few ways to breathe some new life into an old towel. Serge all four sides of the towel with decorative threads. Sew a fabric border across the bottom of the towel. If you really just do not want it any more donate it to charity or your local SPCA or animal shelter they always need towels and old blankets for dog beds. Use a dye such as rite and dye the towel a new color that might match your new theme better. Cut the towel into hand towels or face cloths. 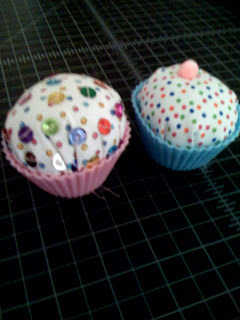 Then you can add embellishments suggested above. Cut the towel and make rags to clean your home or car. Cut into long strips, braid, and knot to make puppy chew toys. Make baby or adult bibs. Make a door mat for your dog, so when it rains you can dry off their paws. 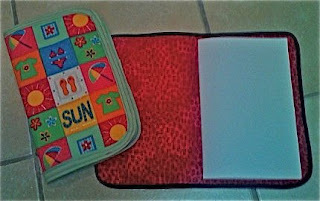 Make a portable baby changing pad for to make diaper changes in public places. Mary-Margaret and Madeline officially graduates from preschool and start kindergarten this fall. We missed it last year by 7 days. They had so much fun, it was a perfect day! Want to sew green but not sure where to get supplies? Many of our local Texas fabric stores like Joann and Hancock Fabrics had organic fabrics, but I have not seen them available in store for some time now. Below is a resource list for organic and natural fabric and notions suppliers. Hope this helps you sew green. If you have any that you shop at not on this list, please post a comment so others will be able to use them as an additional resource. The sell hemp and hemp/blend fabric. Fantastic resource for hand-dyed, soy thread that is formaldehyde free. Resource for organic cotton home dec. fabrics. Resource for organic cotton, hemp, hemp blend and other natural fiber home dec fabrics. They sell the most beautiful prints on organic fabrics. A must see if you want a fun modern designed fabric. Resource for several types of organic fabrics. You can buy EcoCraft. EcoCraft is a "stuffing/batting" manmade from corn. I have been buying from them for several years. Great service and wonderful fabrics and threads! Provides a fantastic selection of organic fabrics. Many prints and colors available. They have a line of eco-friendly fabrics. - Ultima-Eco or Ultima Fabrics made from recycled plastic bottles. They sell bamboo fabric. Bamboo fabric is naturally very strong, extremely soft and has an anti-bacterial properties. 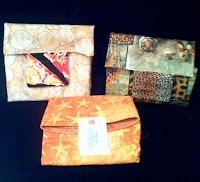 I made sheets and pillowcases from bamboo and wow you would think they were $500.00 fancy store bought sheets. I LOVE their quilt batting and use it all the time! The local Joann Fabrics sells it here in Texas. They sell a really great batting called Warm & Safe Environmentally Friendly Naturally Fire Retardant Quilt Batting - it made from a sustainable tree and manufactured in a green facility. This innovative company sells organic cotton fabric and fleece fabric made from recycled plastic soda bottles. They sell buttons made from Tagua nuts. Win a trip to Paris plus $1000.00- Other prizes include a trip to New York City, $500, a Sewing Machine and More! Seems like every restaurant we go to provides the kids (we have three) with crayons and paper to color on. 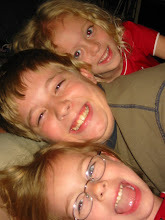 Which I am totally grateful for because all three of my kiddo's are very artistic. However...we seem to have a crazy amount of crayons and broken crayon pieces. What do you do with them all. You can't throw them away, well at least I can't. But my kids could not use them all even if the colored 24/7. Remembering a newsletter I read oh gosh 8 years ago or so it was about how to live frugally (think she has also written a book 6+ years ago). The article was about how to make rainbow crayons. My kids love to use these chunky crayons. They are super easy to make! All you have to do is take the wrappers off all the broken crayons, place them into a muffin tin (no paper) we used one the was purchased from salvation army for less than a dollar. You probably would not want to use the muffin tin that you eat out of. 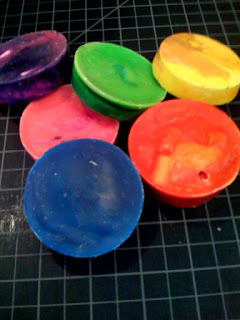 You can mix the colors to make rainbow crayons or use all the same color in each as we did above, totally up to you. Then put the muffin tin into the oven we used 200 degrees, and leave them in there just long enough for the crayons to melt (we watched through the window in the oven). Not too long thought I am not sure if they would burn and stink up your kitchen. Then you carefully take out the muffin tin, try not to move or shake it too much as you want to try to keep all the melted wax from mixing too much or you will have 12 muddy colored crayons. Set them to cool until they completely re-harden then just pop them out. I made these snack wraps for my family to use. They are each a different size and one is a different shape (square & is quilted). Each wrap was made from scrap fabric. They are super easy to make, mine are made from two layers of fabric. I have seen other people make these with vinyl, but I am trying to use fabrics and supplies that I have on hand. Also, from what I've read online the vinyl may not be food safe. My DH was so kind and bought me a MacBook Pro for my birthday/6th anniversary. It was a TOTAL surprise. Not only because I did not know I was getting a new computer but also that I was going to embark on a new quest for knowledge. To be honest I did not really know what the difference was between a PC and Mac other than that the Mac was supposed to have some cool features that a PC did not and that it was supposed to be faster. I like fast! Each day I have vowed to learn one new thing about the Mac until I am a PRO. 1. command N - Opens new window. Can't tell you how happy I am to find this. I have been wicked frustrated trying to only use one window at a time. Each time I clicked on safari to take me to a new place it kicked me out of the website I was in. YAY- Mystery Solved... Back to multi-tasking. 2. command S - Save as function. I love to play with clip art and have been going crazy because with my PC I could right click and save pictures or print them out but there does not seem to be a right click on the Mac. 3. command I- You can email the contents of a page...very cool! 4. command A- Enables you to select all. 7. command V - You can paste- again so happy to find these. I had figured out after some playing that I could use the top menu and edit copy but that was a pain and not as time efficient. I am a huge fan of Quilters Home magazine! 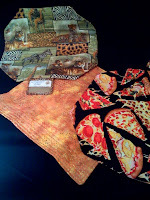 In the May/June issue they had an awesome article about sewing green projects. One of the designers Jessie Croker offered instructions for Quilted Journals (pg. 82 & 83). They were "sew" easy to make and do not take much fabric approx 2 pieces 8" X 11", bias tape and paper. I made two today to use at the Husqvarna Viking 2008 Convention in San Antonio in June. 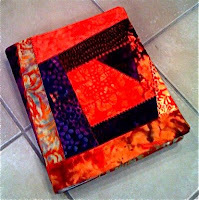 The journals will make great gifts and since they can be made from scrap fabric they will be inexpensive but really creative. The covers could be embroidered, painted with inks and dyes, embellished with hot fix crystals. I plan to make lots of these for my friends. Batik crazy quilted scrap book or album cover. I made mine to hold fabric postcards. But it can hold any sized photos that you would like. The Visual Arts Society of Texas is sponsoring their third annual 125-Mile Visual Arts Exhibition showcasing 2D and 3D work from DFW to southern Oklahoma, to be held at Texas Women's University July 31, 2008 through August 15, 2008. The deadline for submissions is May 31, 2008! All information and a submission form can be downloaded at www.VASTarts.org Fees for three submissions, for non-members is $30. Earth Day 2008 fabric postcards were made to exchange with three friends. Each postcard is a little different but all three were made from the same fabrics. The base of the postcard is a wood textured fabric layered with a scenic fabric cut into different shapes then stitched on. Each card also has hot fix crystals to make them shine a bit. This quilt was too much fun to make. Wish I could say that I followed the pattern directions...well maybe next time. Many patterns I buy because I like the photo of the finished quilt on the front. From there I like to interpret the image into something that is my own. Being a huge fan of mixed media this pattern was a perfect opportunity to add dimension and texture. The base of the quilt is a Kaufman all over beige print fabric. From there I added layers of outdoor textured fabrics from the top (sky) to the bottom (water and rocks). Each layer was fused down and when the entire base fabric was full I pressed the fabrics, placed a piece of hobbs batting behind and then began to thread paint the quilt. Starting from the waterfall I thread painted to look like falling water then crashing waves as the bottom. Each little fabric panel was thread painted according to the textured print in the fabric. The rocks where thread painted like rocks..etc. 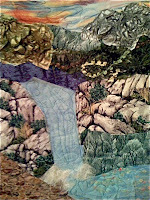 After all the thread painting was done, I added silk roving to the bottom of the waterfall and into the sky by felting then free motion stitching. Once the roving was on the waterfall I added transparent blue tule over the waterfall to make it shimmer. Then onto my favorite part, the rocks. The upper rocks were made by painting then melting recycled tyvek envelopes. This would make a fantastic class as it uses lots of different techniques, feet, decorative threads, and free motion thread painting. Sewing Diva Mini Quilt - Made to exchange with Postcard Pizzazz Group. 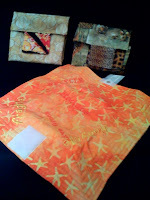 My sewing diva center block is a Lorelie print and has a simple border with 2" square corners. 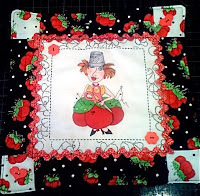 Around the Sewing Diva center block is glittery red rick rack. The center block has hot fix crystals placed in the green top, in the gold shirt and blue crystals in her eyes. We decided to add a new challenge to our postcard group. We are exchanging mini-quilts. They were supposed to be between 8" and 10" we did not want to make them too big so that they would fit into a manilla envelope. Three mixed-media postcards I make for the PostcardPizzazz "Cat's Postcard Exchange". 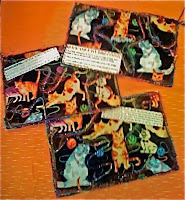 The top of each postcard is made with some beautiful almost batik looking cats on black fabric. I stitched decorative threads to make it look like the cats are playing with yarn. Then stitched on these adorable cat button, and some plastic cat sayings. The backs are a light purple with more plastic cat sayings stitched on. The sides are finished with overstitched yarn. 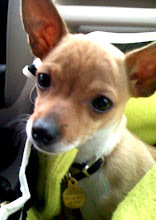 Much cuter in person ;0). I participate in several postcard exchanges. I keep a book of postcards so when I travel and teach classes I show people the wonderful things that can be created with only a few supplies and a sewing machine ( or by hand sewing). My book has now runneth over...so I have been trying to find some more creative ways to display all these little artful cards. 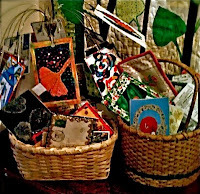 As you enter our home I have two baskets sitting upon a hutch that my dad made that are full of postcards for our guests to look at and a really cool metal photo tree (container store about 15.00) that the postcards clip to and hang from. Then my favorite of all is in our bathroom we have a photo shower curtain that holds 4" by 6" photos...perfect size for postcards. 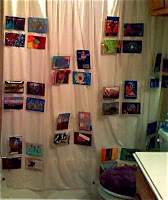 The shower curtain is my favorite because we can change it out with different holidays or themes.